Change the temperature from anywhere. 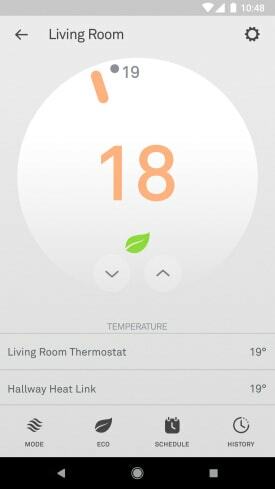 The Nest Thermostat E works with Google Home. Feeling chilly? Tell your Google Assistant to turn up the heat. The Nest Thermostat E is all set with a simple schedule to help you save from day one.3 It knows when everyone has left the house, then turns itself down so that you're not heating an empty home. 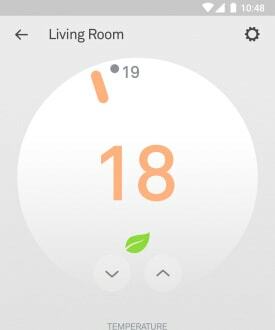 And when you change to an energy-saving temperature, you'll see the Nest Leaf. Meet the Heat Link E.
The frosted display shows you the temperature when you’re up close, then it all disappears when you walk away. And you can place the Nest Thermostat E on a table or desk in a room that matters most. Most people install the Nest Thermostat E in 60 minutes or less, because you don’t need to access your heating system. The Heat Link E goes in the same spot as your current wired thermostat. And you can put the Nest Thermostat E anywhere you like. Need help? A Nest Pro can do it for you. 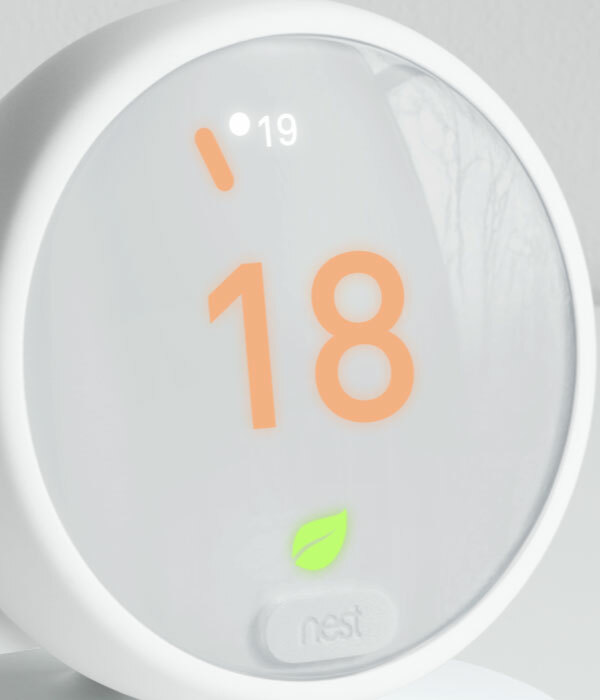 The Nest Thermostat E is compatible with most heating systems. Voice commands require a compatible home assistant.